In between parties on Saturday and of course exploring and taking pics on the 11 sims of the Fantasy Faire…I took the time today to explore a brand new destination, opened 3 May: H220. 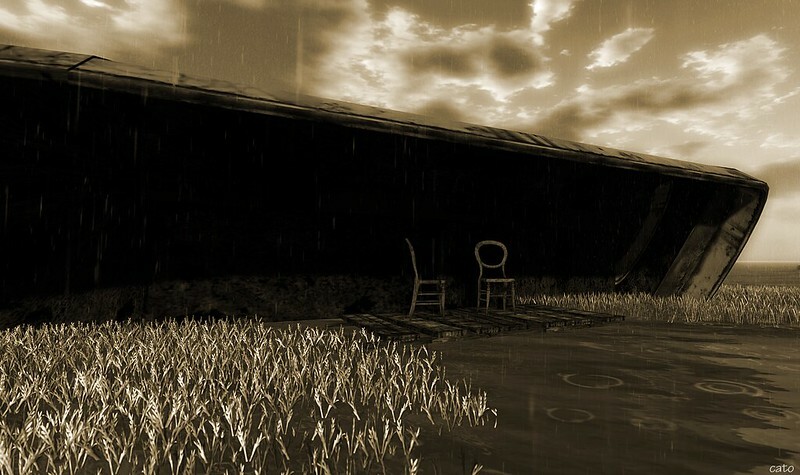 A watery, rainy sim created by Squonk Levenque and Miuccia Klaar, who also made the wonderful 2304 Rain which I enjoyed a lot last year. H220 is wet and there is thunder and lighting, you will find lots of details when you wander around and I am convinced this place will be popular in no time by explorers and photographers…and anyone in need of something different than sun, springflowers and palmtrees! I recommend you visit it, and also check out Ziki‘s and Honours blogposts, with amazing photo’s! Next Post Let it be Lime! I really enjoyed this sim. Thanks for the tip – went there yesterday and really loved it – so many great photos to be made here!